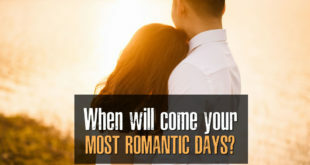 Your most romantic times – when will they come? 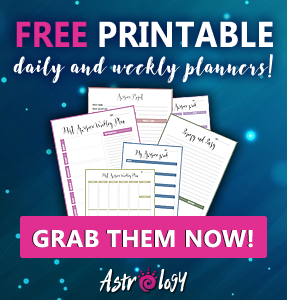 Sense of humor in natal chart – Do you have it? 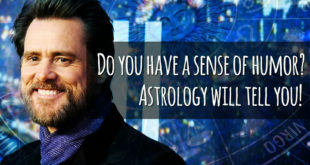 What are astrological aspects of a true comedian? It was the hardest thing to do! Thank you so much, Rebecca, for your kindness. I met you when my life was in ruins and you helped me so much with your advices! God bless you! You were spot on, Rebecca! Thank you! I must admit, it was painful to see the truth, but I am glad that I finally did it! Thank you so very much! 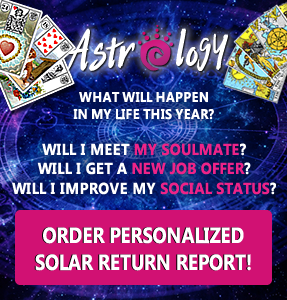 Your synastry reading really made me think, Rebecca! Thank you so much for your advice on how to approach our relationship to overcome our crisis! You helped tremendously! Thank you!!! It was so sweet of you to offer me so much support when I was having a really hard time! Grazie di cuore, Rebecca! Thank you for the reading! I wasn't sure about my ex, but you gave me so good insight into our current situation!! Thank you so much! My mind and my heart are calm now!! Rebecca, thank you for your quick reading! 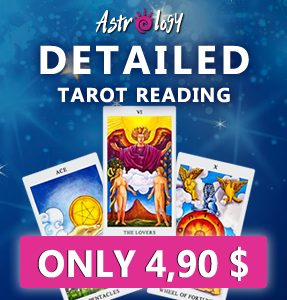 It gave me support in a time of a need and just yesterday it came true, what you predicted from cards. Thank you a lot!!!! Your reading was amazing! Thank you for clearing my situation with J and for help! Your description of my and her current situation was spot on. As for the oucome, I can't say as it has not hapenned yet but she already did move out of her old apartment so part of your prediction already happened. ONLY subscribers to this site get information about special DISCOUNTS, exclusive ARTICLES and more. Do you want to be one of them? SUBSCRIBE!